The Bible story of Noah's Ark is told in a simple but exciting style in this elegant, beautifully illustrated board book. This extra-large format story book is a perfect size for sharing with young children, and makes an ideal gift. The book also features a note for parents, to help them get the most out of the story. 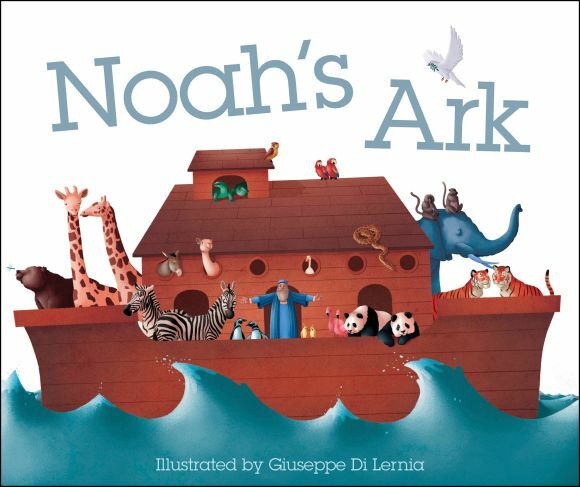 In this story with a moral, God tells Noah to build a boat big enough to fit his family-plus two of every kind of animal! Then God floods the Earth. Find out what happens to Noah and the animals on the ark.